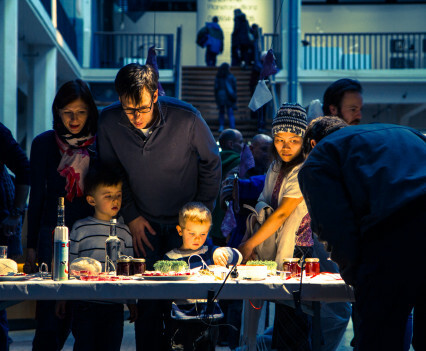 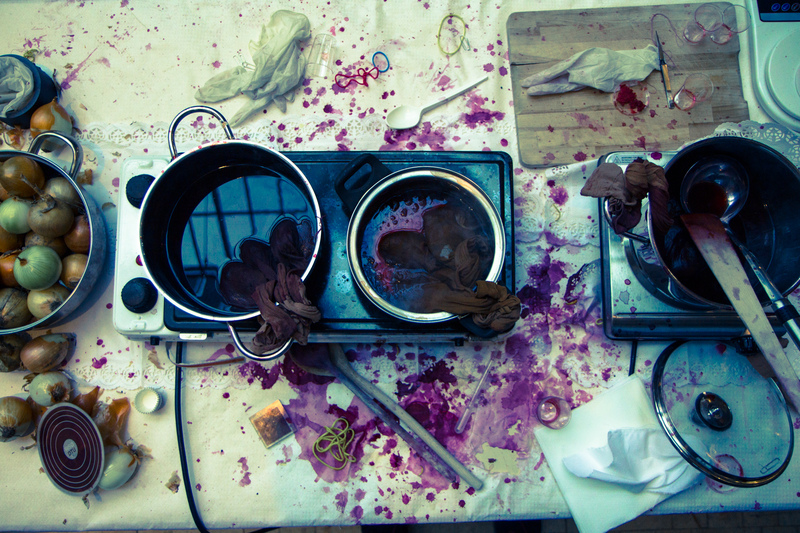 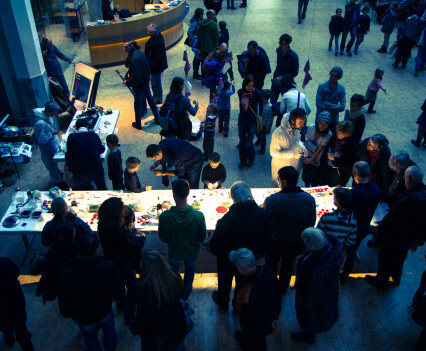 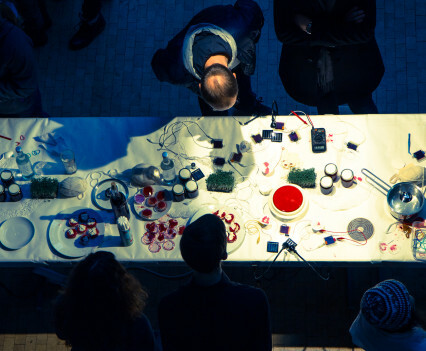 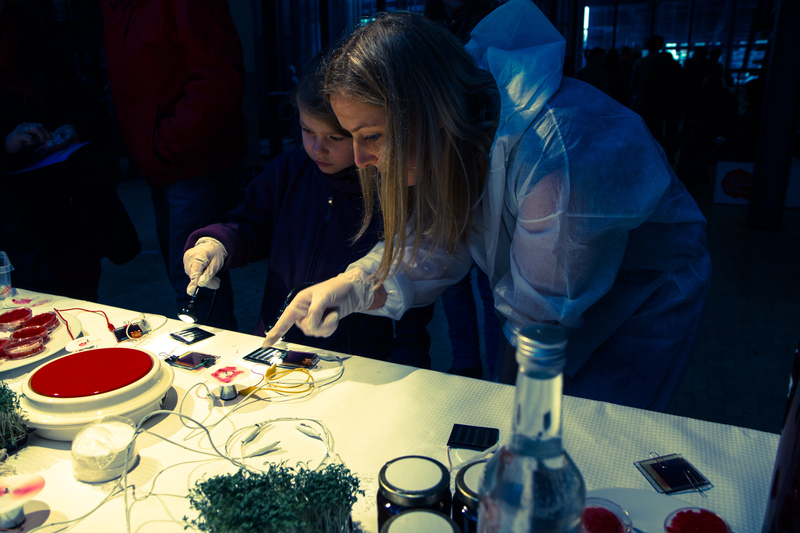 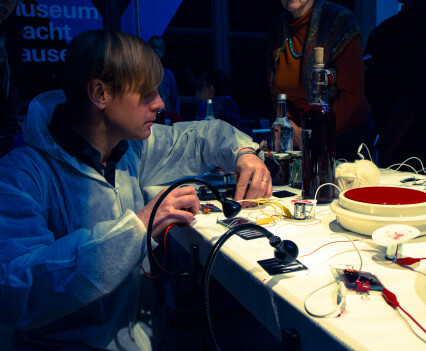 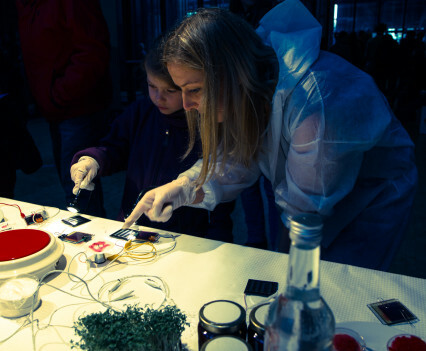 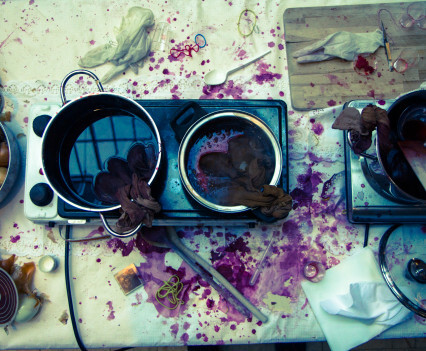 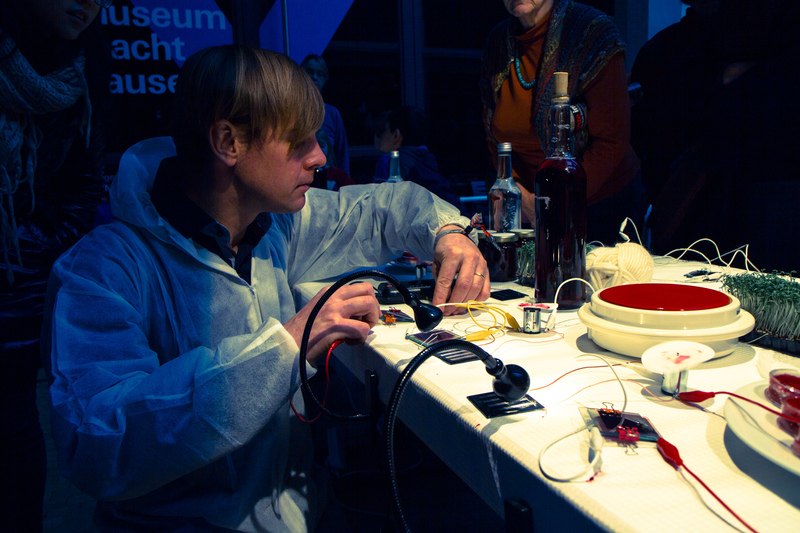 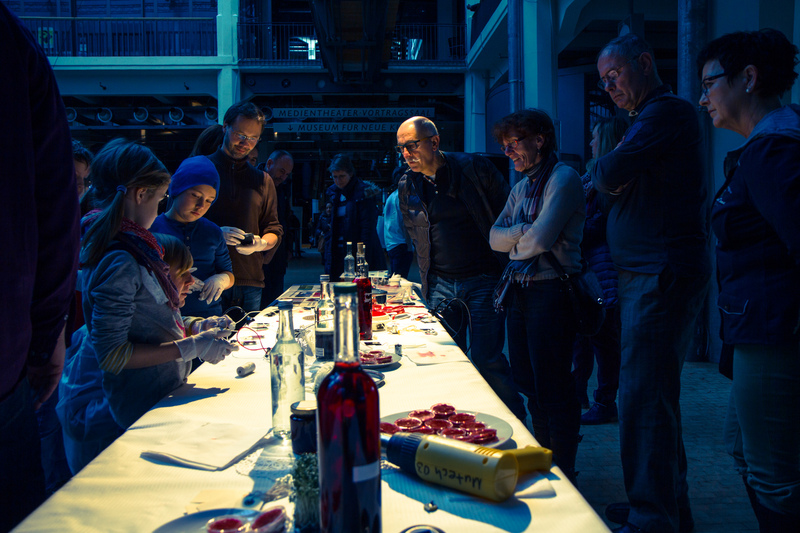 Loop.pH helped transform ZKM into a public laboratory – with workshops, lectures, performances, guided tours and concerts for visitors to experience the collision of art and science. 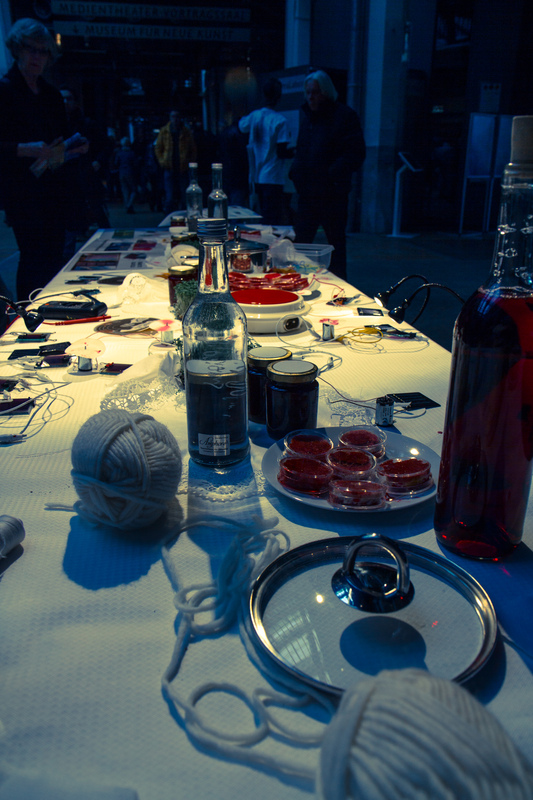 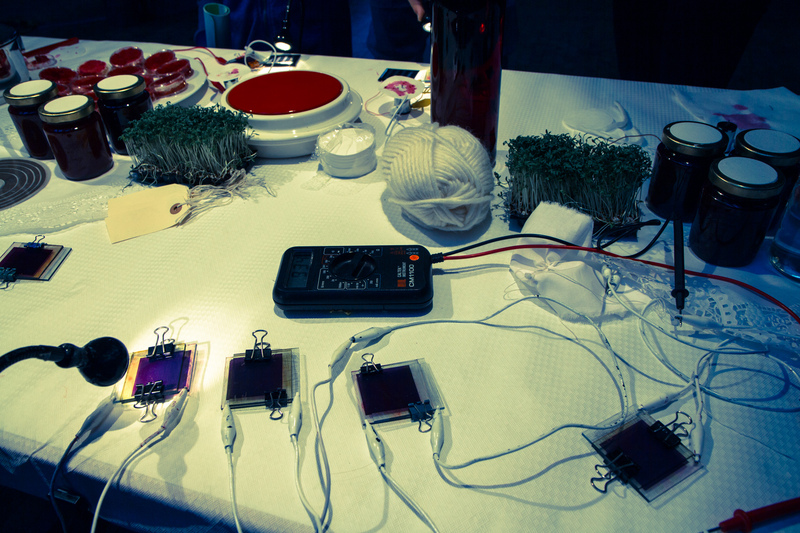 We were invited to run the Solar Jam Workshop for the open day and launch of the upcoming exhibition GLOBALE. 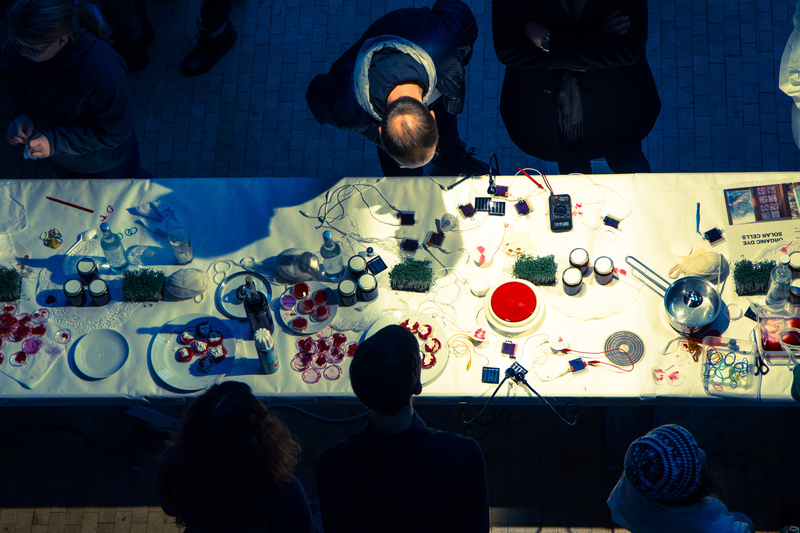 Solar Jam is an ongoing exploration by the studio into energy, food and metabolism in design. 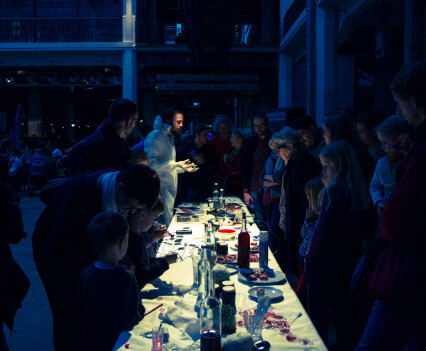 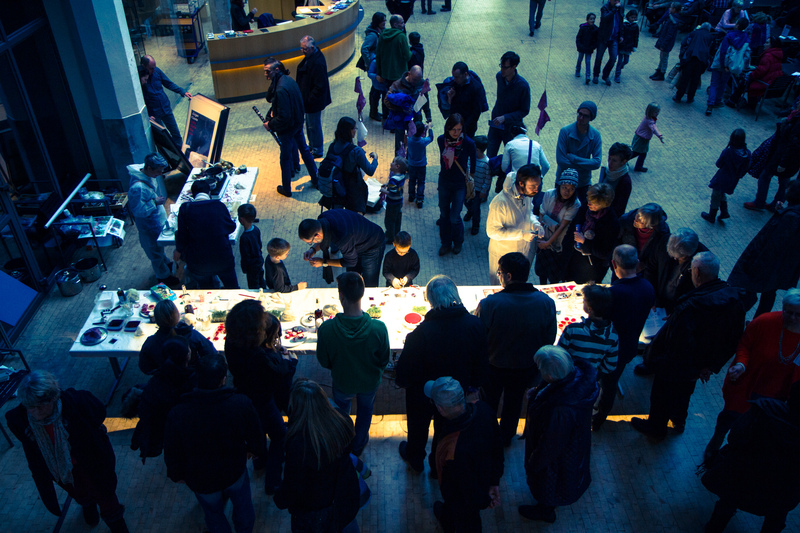 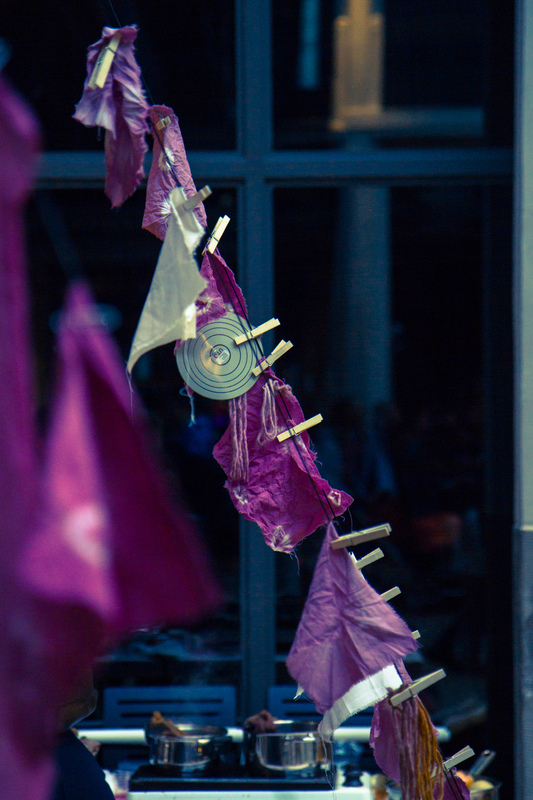 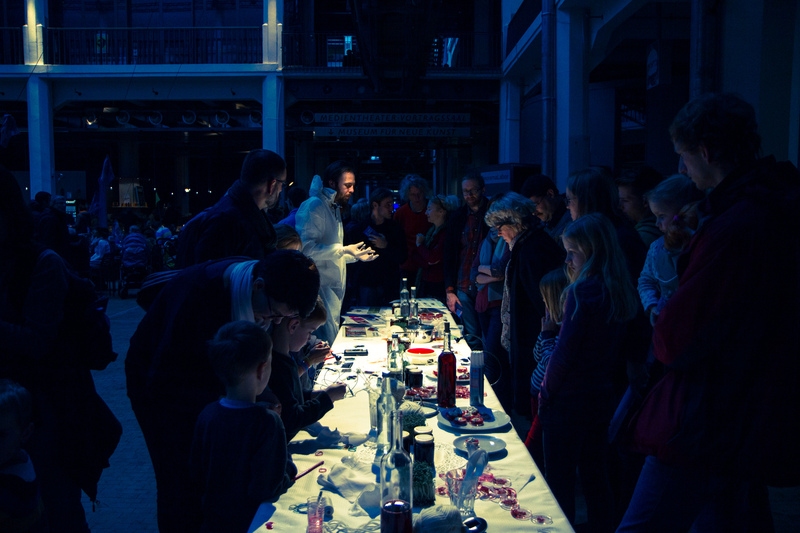 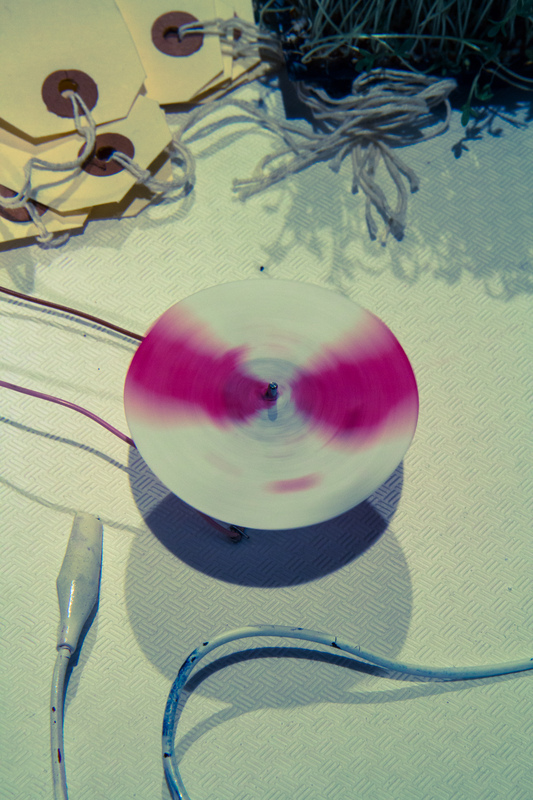 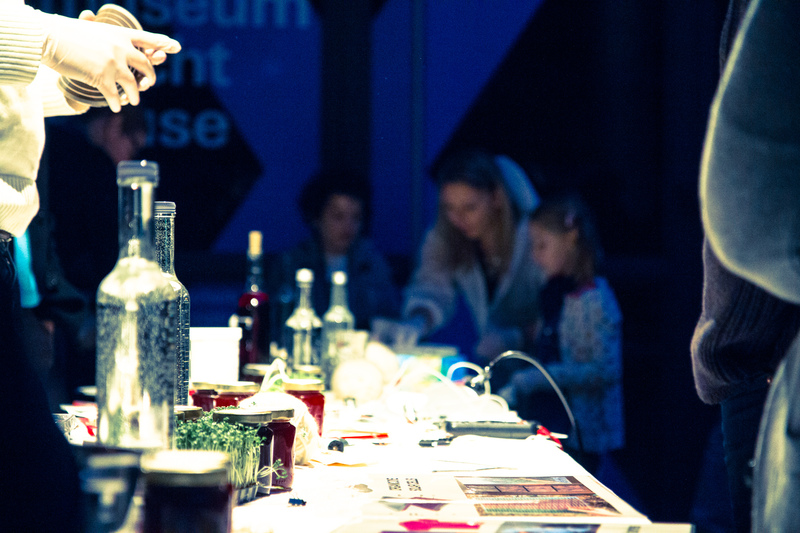 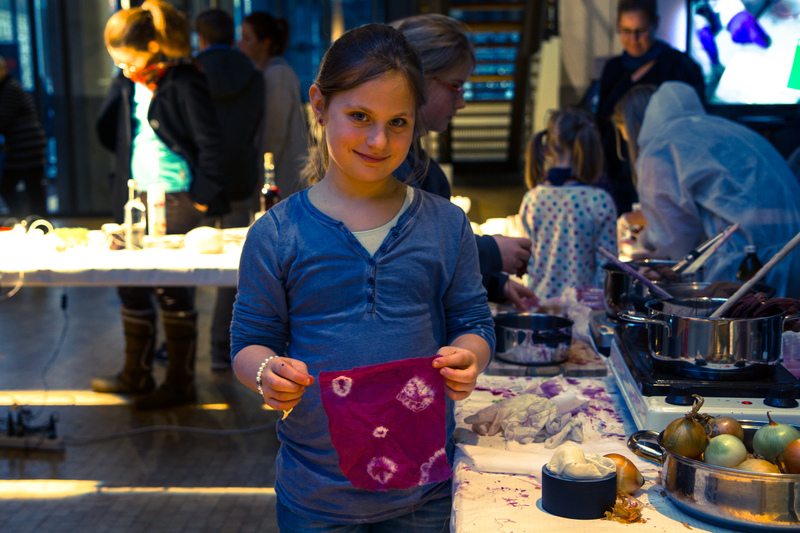 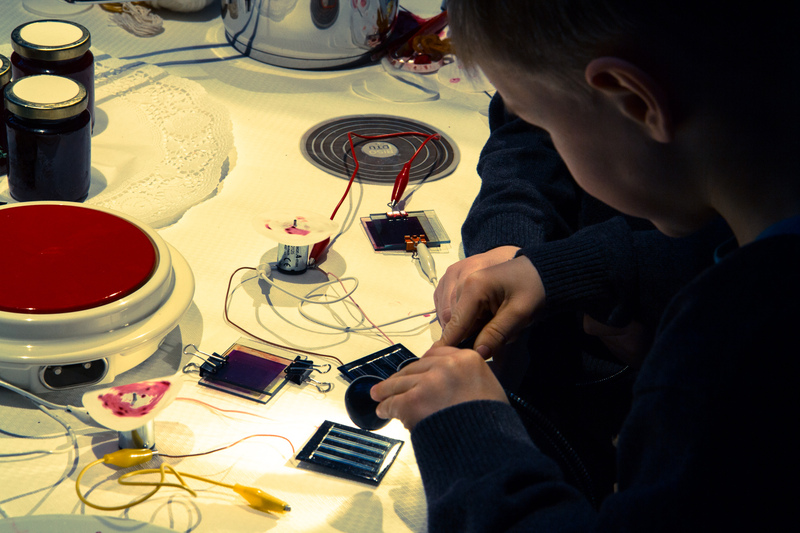 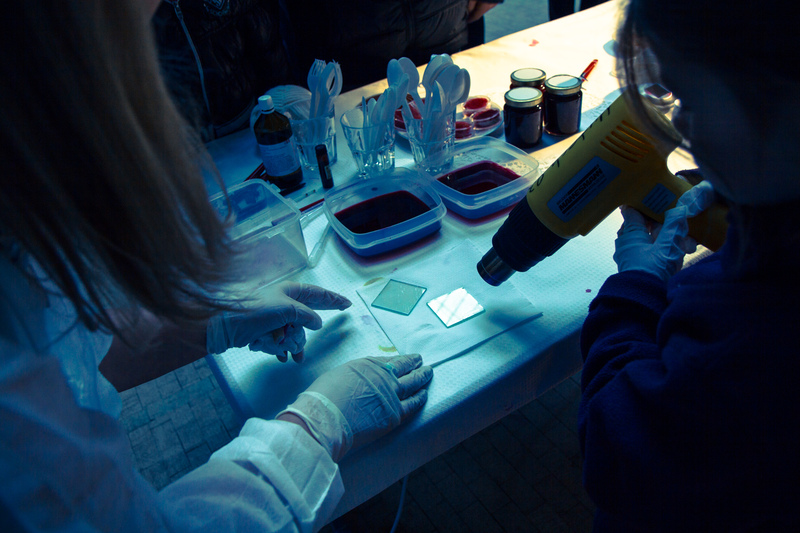 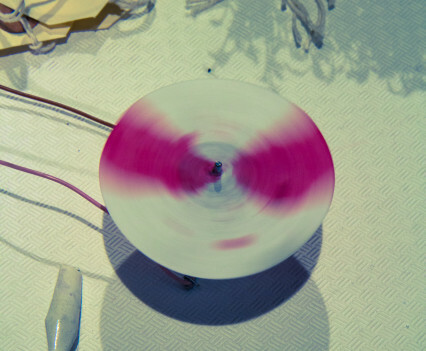 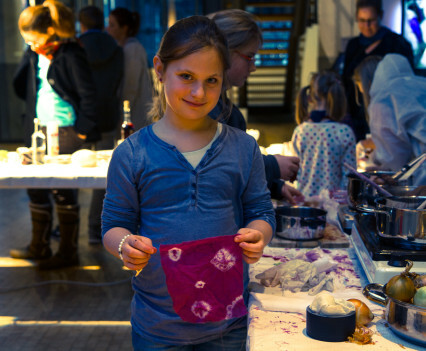 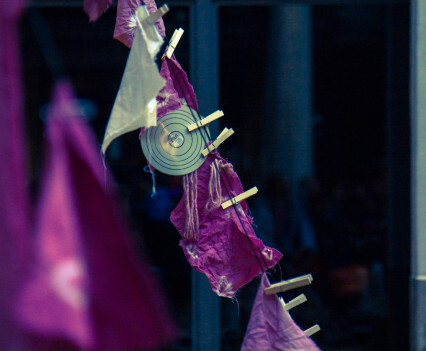 We use public workshops to encourage playful experimentation with scientific processes. 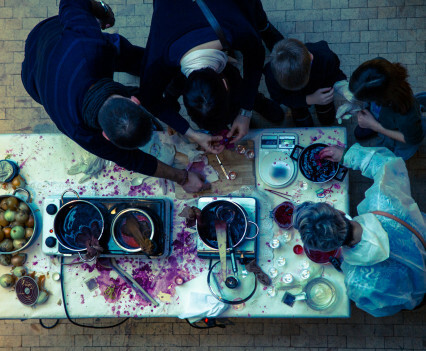 Proposing we turn our kitchens, homes and cities into community labs of researchers exploring new ways to live in an ever more resource scarce world. 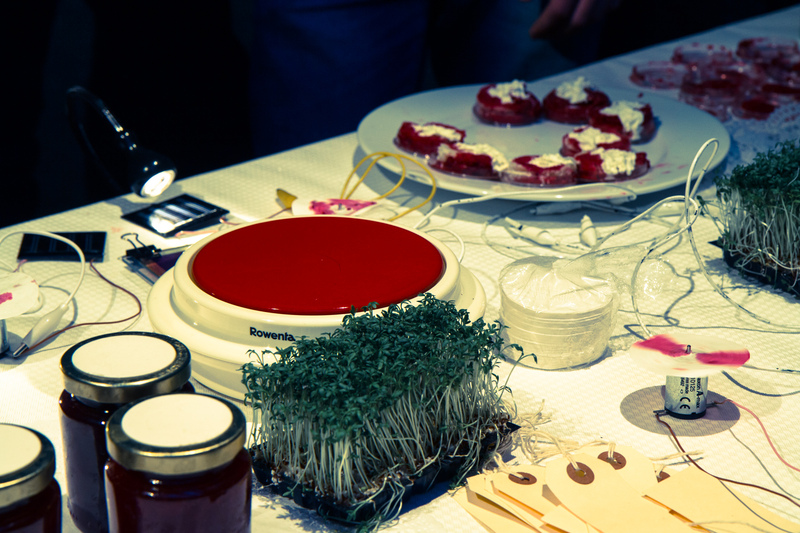 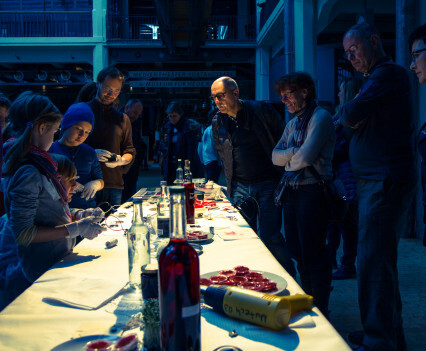 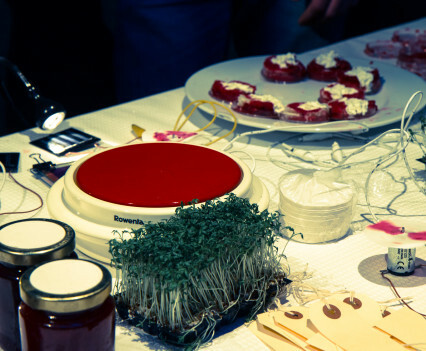 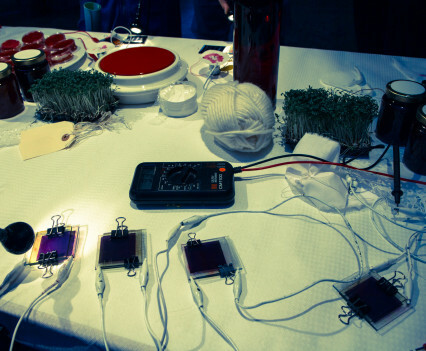 Presented as a multidisciplinary workshop and event, participants have the opportunity to fabricate home made edible solar cells with locally sourced berries. 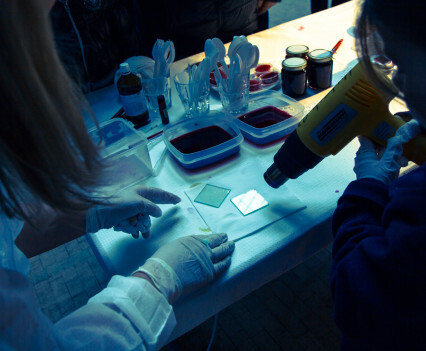 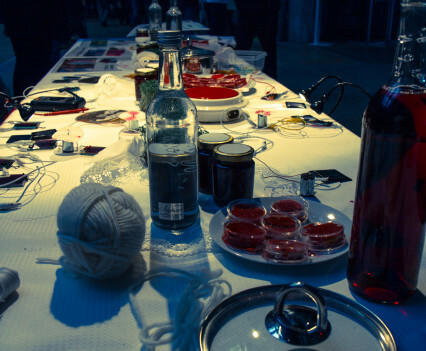 We invite people from all backgrounds such as chefs, chemists and textile designers to experiment with the energy potential of berries, onions and citrus leaves to make cutting edge solar cells, edible jams as well as beautifully dyed patterned textiles. 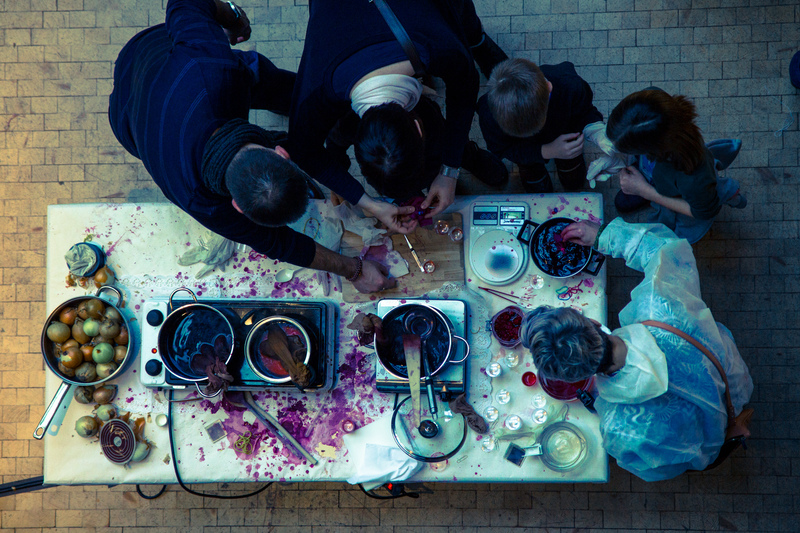 Our aim is to blur the distinctions between kitchens and laboratories and strengthen the connections between traditional crafts and current research practices. 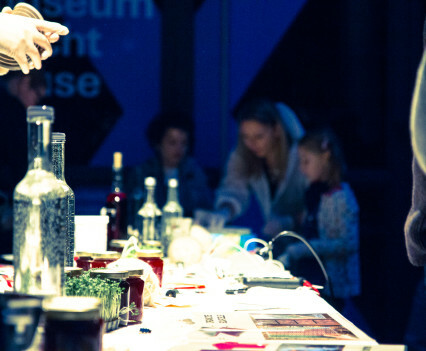 Substances have skilfully been extracted from plants for thousands of years for medicinal, nutritional and energy needs. 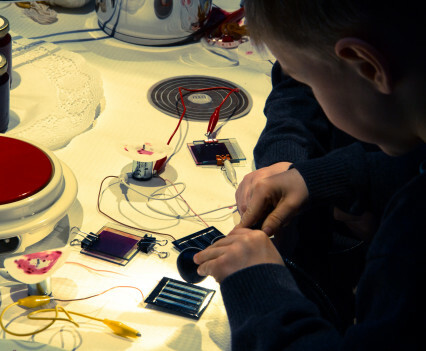 It could be said that the very root of science can be found in these ancient craft traditions. 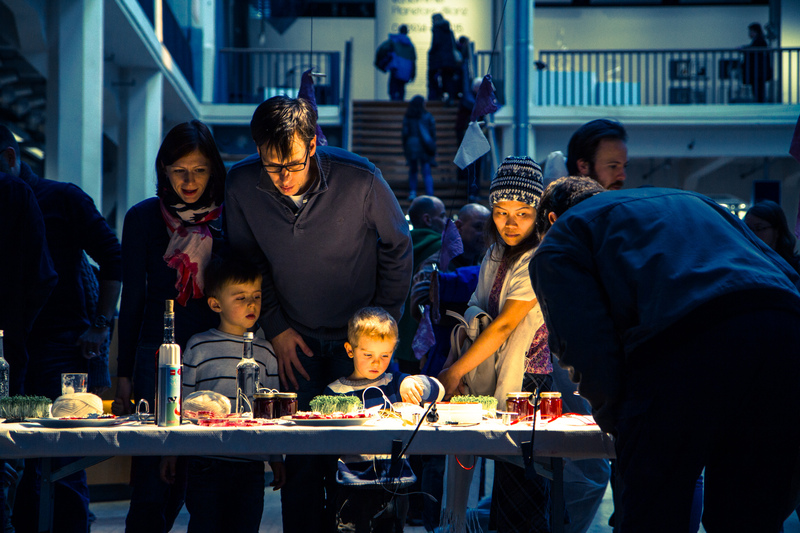 Share the post "ZKM Solar Jam"